How Do You Address Gum Disease? We’ve discussed the dangers of gum disease in the past, which in addition to discomfort can include adult tooth loss. Fortunately, we can help improve the health of your smile and prevent the advanced stages of the disease. How do we address gum disease? When do you know if you need to seek treatment? Question: How do I recognize the warning signs of trouble? Answer: You should be aware of any changes to your gums, such as soreness, redness, or bleeding when you brush or floss. Gum recession and persistent bad breath can also be signals that you need to see your dentist. Don’t ignore any changes or pain in your gum tissue, see your dentist right away for a diagnosis. Question: Will I need a deep cleaning? 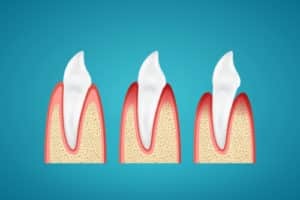 Answer: During the gingivitis stage, which is the inflammation that develops before the disease can form, we can reverse the problems with a deep cleaning. Using scaling and root planing, we thoroughly remove plaque buildup from the surface of the teeth and from the roots. We can also use this treatment to manage the disease. Question: When is surgery recommended? Answer: Once the disease becomes advanced, we may recommend surgery. The procedure removes the infected tissue, allowing health gums to adhere to the teeth and close periodontal pockets. Doing so can help prevent the advanced stage of the disease, known as periodontitis. Without treatment, periodontitis can lead to adult tooth loss. Question: How do I prevent the disease from developing? Answer: You need to maintain better oral health in order to prevent the onset of the disease. We recommend brushing your teeth twice a day and flossing once a day, every day without exception. You should also schedule a dental cleaning every six months.